CHARLOTTE, N.C. – After a year of record-setting weather events – from tornadoes and flooding to ice storms and hurricanes – the Duke Energy Foundation today announced $1 million in funding to help North Carolina communities increase their resiliency to these major weather events with advanced preparation and planning through the Powerful Communities: Storm Resiliency grant program. “Duke Energy stands with our communities as they recover from the devastation of recent storms, and we want to help them become more resilient to the impacts of future storms,” said Stephen De May, North Carolina president, Duke Energy. Specialized training for first responders for severe weather scenarios. 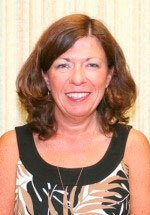 Organized planning initiatives for communities to prepare for extreme weather. Equipment necessary for severe weather rescues to preserve human life. Community storm preparedness training, materials, kits or shelters. Emergency communication tools for severe weather scenarios. Improved outcomes for low-income communities experiencing extreme weather. All regions of the state served by Duke Energy Carolinas or Duke Energy Progress are eligible to apply, and communities impacted by severe weather in recent years will be given priority. Both nonprofits and governmental entities are eligible to apply. Grant decisions will be made in August. 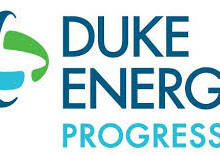 Please visit duke-energy.com/foundation and select State Strategic Impact for more information.